These additional windows are more the star of the show than those from last Friday’s post. The first is from an alley in Jackson, Michigan. It is not colorized. 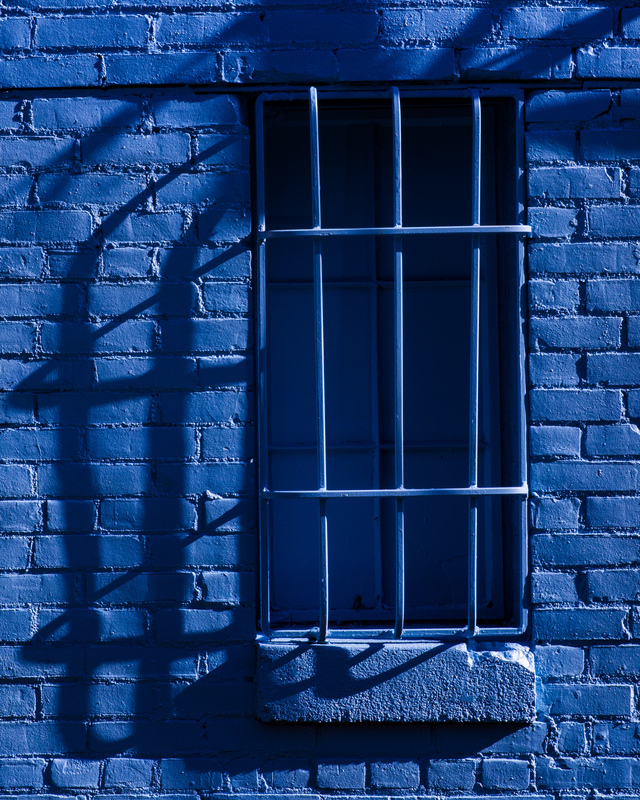 The whole back wall of the building – including this window – is painted blue. 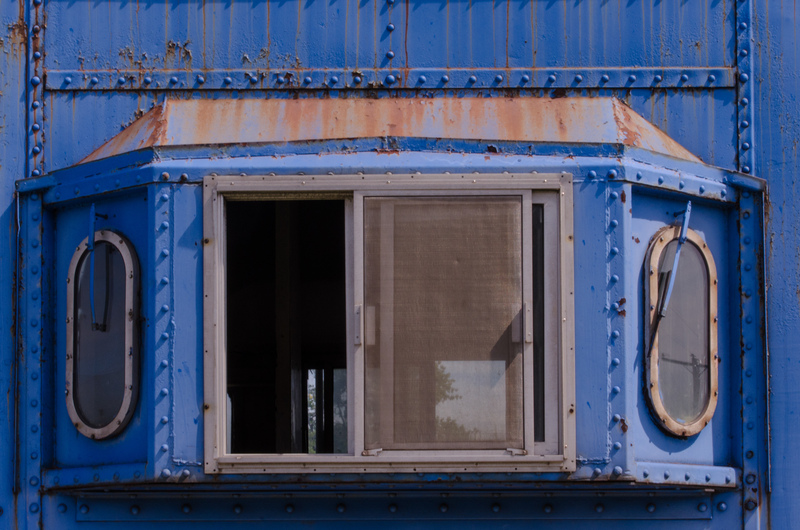 Likewise, the blue caboose window was found this color, in this setting. 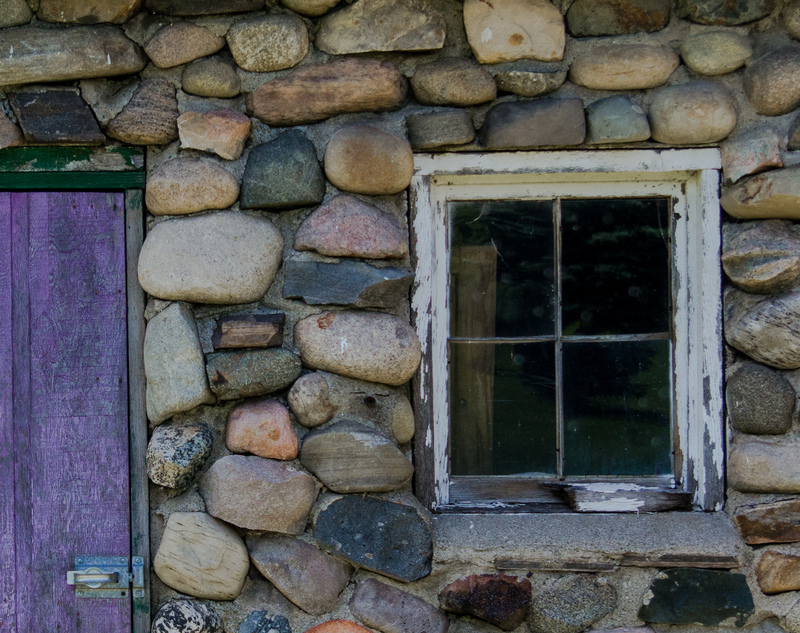 Shifting to purple, the next window is a compliment to the purple door. 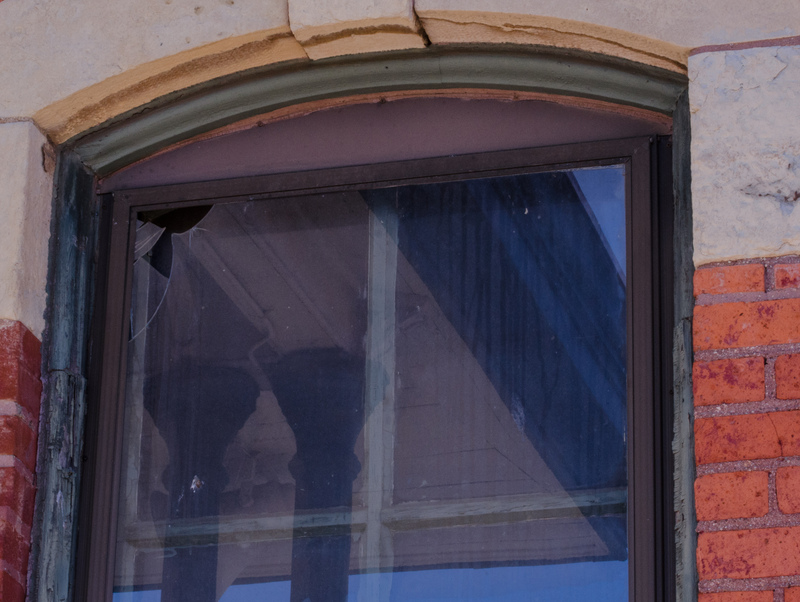 The final window is a second-story window in Jackson’s train station. Both the window and the reflection capture the architectural beauty of this historical landmark. Happy reflections.